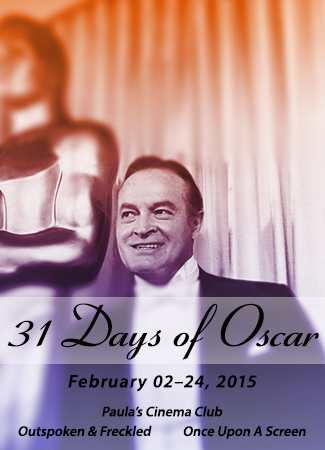 While this year’s Academy Awards ceremony is officially host-less, the 31 Days of Oscar Blogathon has three! Kellee of Outspoken & Freckled, Aurora of Once Upon A Screen, and I, here at Paula’s Cinema Club have been celebrating the Oscars themselves and TCM”s tribute to same for the past seven years! First up, Amanda at Old Hollywood Films focuses on Five Times the Academy Got It Right. Her picks include one of my favorites, George Sanders’ win for All About Eve; click for the rest. 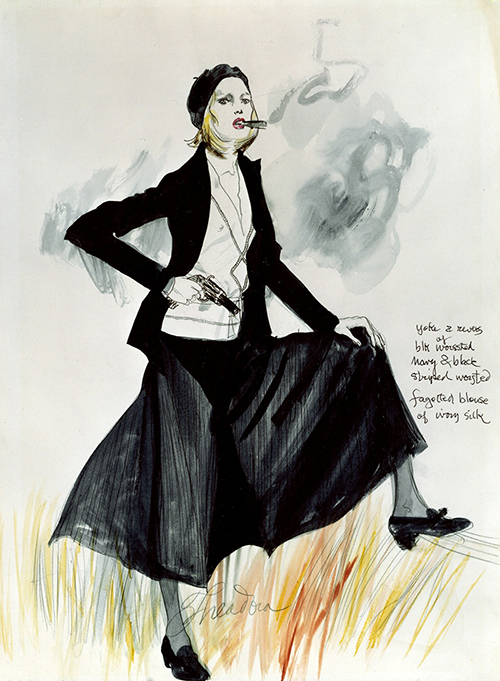 Linda at Backstory: New Looks at Classic Films examines the life and career of “strikingly successful art director” Ward Ihnen. Lê at Crítica Retrô reviews pre-sound films’ Oscar legacy in Golden Silence: Silent Films at the Oscars. In the Good Old Days of Classic Hollywood recounts Olivia de Havilland’s second Oscar win for The Heiress. Check back throughout the day for additional 31 Days posts! 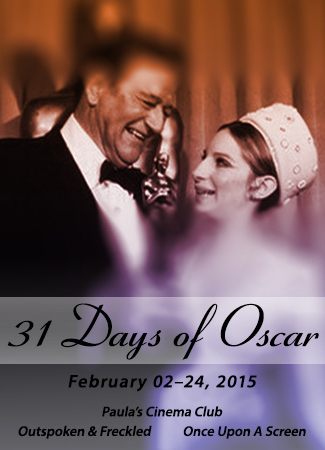 Announcing the 31 Days of Oscar Blogathon! The Academy of Motion Picture Arts and Sciences handed out its first Awards at a dinner party for about 250 people on May 16, 1929, to honor movies released from August 1, 1927 – August 1, 1928. The organization’s first president, Douglas Fairbanks, hosted and presented at the ceremony, held in the Blossom Room of the Roosevelt Hotel in Hollywood. The brainchild of MGM studio mogul Louis B. Mayer, the Academy was formed in 1927 as a non-profit dedicated to the advancement and improvement of the film industry. Some might argue about some of those achievements, but there is one thing that is sure to impress classic movie and Hollywood fans: When the music plays to open this year’s Oscars on March 4, 2018, it will be the 90th time the film industry has honored achievements in movies. Check out all the 1929 nominees and winners. 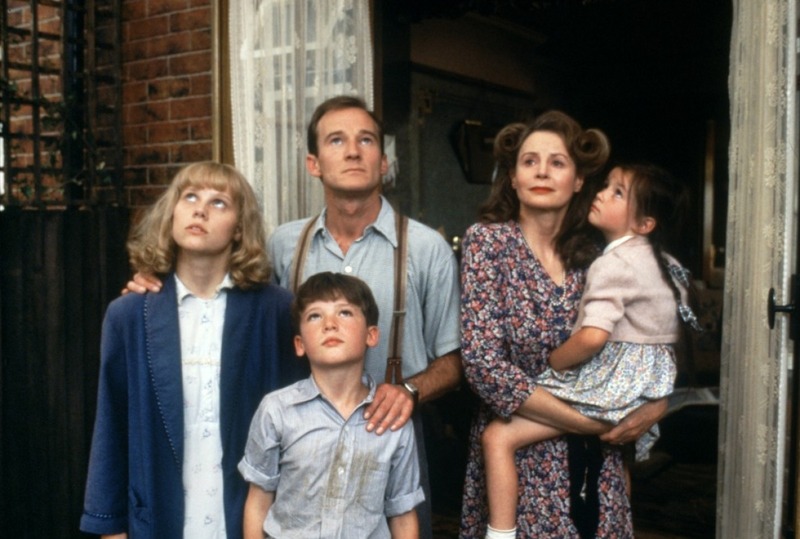 31 Days of Oscar Blogathon – Day 3! The truth of the matter is that while Hollywood admires people who win Oscars, it employs people who make money, and to be able to do one does not necessarily mean you can do the other. 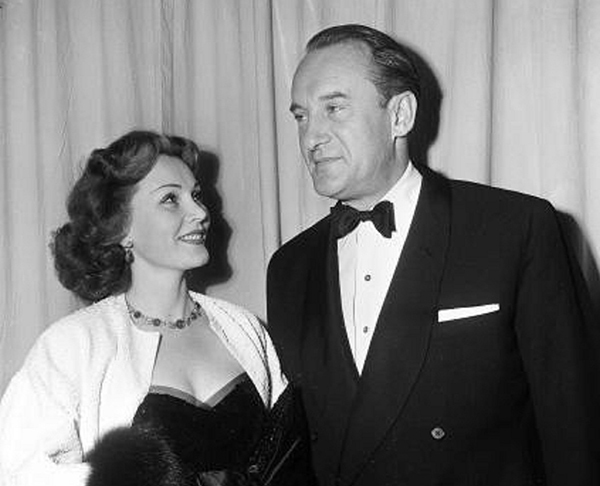 George Sanders and Zsa Zsa Gabor on Oscar night, 1951. Sanders won Best Supporting Actor for his work as Addison DeWitt in ALL ABOUT EVE. Today is the third and final day of the 31 Days of Oscar Blogathon, our annual exploration of the phenomenon that is the Academy Awards, still the pinnacle of achievement in the film world. I’m keeping this introduction brief in order to avoid the dreaded wrap-up music, but be sure to check out Day 1, hosted by Aurora at Once Upon A Screen, and Day 2, hosted by Kellee at Outspoken and Freckled. It has been my honor to share five years of Oscar opining with these lovely and talented ladies. 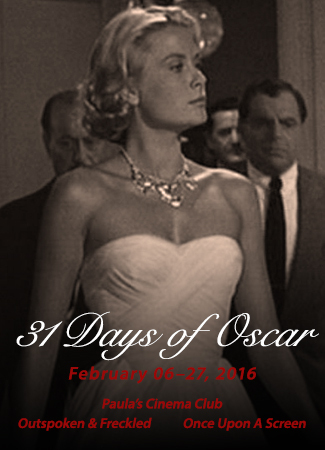 Our blogathon takes its cue from Turner Classic Movies’ 31 Days of Oscar, which runs through Friday, March 3. Musings of a Classic Film Addict discusses legendary Luise Rainer’s back-to-back Oscar wins for The Great Ziegfeld (1936) and The Good Earth (1937). Portraits by Jenni recounts the origin and development of the Academy Awards’ Best Song category through the 1960s. Dreaming in the Balcony presents a rich analysis of both Kitty Foyle and Ginger Rogers’ work on that picture, which resulted in her one and only nomination and win. Cary Grant Won’t Eat You makes a case for one of the most egregiously snubbed actors ever, Jake Gyllenhaal. Cinematic Scribblings studies a film about the making of a film that blurs the line between life and art, François Truffaut’s Day for Night. Phyllis Loves Classic Movies continues her examination of an all-important craft, costume design, in Academy Award-Winning Costumes Part 2 — 1961-1977. (Also see Part 1 — 1949-1960). Having taken advantage of the much-hyped East Coast Snow Storm, and watched from my 23rd floor balcony as the surface dwellers dug themselves out, I’ve had time to contemplate the films of 1987 and their standing with the Academy of Motion Pictures Arts and Sciences. The 60th Academy Awards: Playing It Safe! According to Box Office Mojo, a neat little reference source which proves useful in this treatise, 1987 was a rather prosperous year for film. With 238 entrants through the year, from the sublime (The Princess Bride) to the ridiculous (Ishtar, Real Men, Death Wish 4: The Crackdown), lots of diversions and variants in-between, and a surprising number of films in its Top 25 films nominated for Oscars. For those uninitiated, I’ll be laying out this amalgam in the same way I’ve presented earlier critiques of the Academy’s decisions, entailing “The Top Six” categories, taking a “Top Down” perspective, plus a few personal bones to pick in the lower tiers. So, without further ado, let’s start with the contenders for…. We’re now just past the halfway point of both Turner Classic Movies channel’s Academy Awards tribute, 31 DAYS OF OSCAR, and the 31 DAYS OF OSCAR Blogathon, hosted annually by myself here at Paula’s Cinema Club, Kellee of Outspoken and Freckled, and Aurora at Once Upon A Screen. This week we salute the less renowned, but nonetheless essential, disciplines of movie-making…THE CRAFTS. Those who practice them are below the title in billing yet are decidedly indispensable to the overall effect of a film. Check out the fabulous Week 3 posts after the jump! A New Year brings many things. Cold weather. Occasional snow. The Super Bowl. Worries about taxes. And that selection of works from the previous year’s effort in regard to cinematic entertainment known as the Academy Awards. The celebration of the “be all and end all” that is the magic of Tinseltown. With the toils of 1975 fuzzily reflected in the tastes and perspectives of what felt like the final year of pulling up from the nosedive, ennui and la cafard created by Vietnam. Comedies in abundance. Woody Allen flexing his intellectual muscles with Love And Death on one side. To an off-the-wall New Wave import, The Rocky Horror Picture Show, adapted from the massively popular “audience participation” stage play. Dramas would also score high with Peter Weir’s Picnic At Hanging Rock, and Antonioni’s The Passenger. Making room for conspiracy thriller Three Days of the Condor by Sidney Pollack. And science fiction taking a roller coaster ride with Bryan Forbes adapting Ira Levin’s high-end The Stepford Wives. To David Cronenberg’s creepy They Came From Within. And the no-budget take on Harlan Ellison’s post-apocalyptic narrative, A Boy And His Dog, filling those more base tastes. An eclectic year to say the least, with proven masters doing things their own way, while making room for just-starting-out talent, who would be household names in later years, going against established convention. Not an easy year for Academy voters, with a plethora of personal tales, and a noted lack of established musicals and other hugely-budgeted studio “epics” to be whittled down to an easily manageable number. The offerings of 1975 would also have a Wild Card, a change to the long-standing paradigm, ramrodded by a young upstart named Stephen Spielberg. Released during the summer and added to the deck of contenders by tremendous reviews and popular demand. An intentionally made and executed “Blockbuster” by the name of Jaws. The 48th Academy Awards: Old vs. New. With A Twist! To paraphrase a common saying, writing about cinematography can be like dancing to architecture. But I’m going to give a shot, because it’s a travesty that Roger Deakins, ASC, BSC, CBE has been nominated for the Best Cinematography Oscar a whopping TWELVE times, and has yet to win. With his nomination this year for his work on Angelina Jolie’s Unbroken, Deakins is on a three-year streak, having also gotten the nod for Skyfall in 2013 and Prisoners in 2014. He’s been nominated for Academy Awards in two consecutive years THREE times (1997/1998, 2001/2002, 2008/2009), was once nominated twice in the same year (2008), and he’s won numerous other awards, including BAFTAs and ASC and BSC awards. Deakins is known for his simple, naturalistic set-ups and his devotion to story over all other considerations. He likes silhouettes, fire at night, and high angles, but his shots almost never draw attention to themselves, which may be part of the reason it’s never been his year with the Academy. He is most often associated with the Coen brothers, with whom he has worked on eleven pictures (not all Oscar-nominated). Their work has benefited greatly from his fluency with different lighting styles. 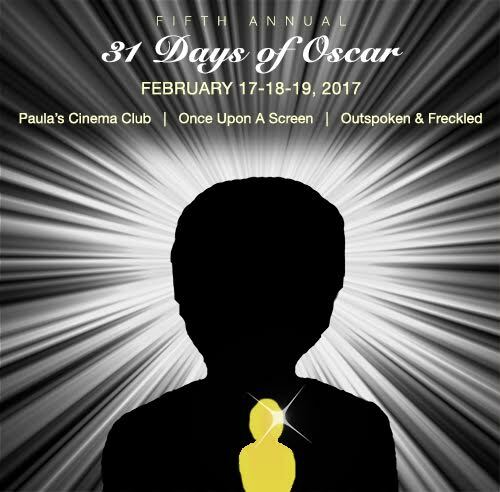 Continuing an Oscars tradition – albeit a much newer one than either the legendary awards or Mr. Wayne’s impressive career – Kellee (@IrishJayHawk66) of Outspoken and Freckled, Aurora (@CitizenScreen) of Once Upon a Screen, and myself, @Paula_Guthat of this blog, are back our Third Annual 31 Days of Oscar Blogathon. Update: Scroll on down to the end of the post to see the list of 2015 participants so far.